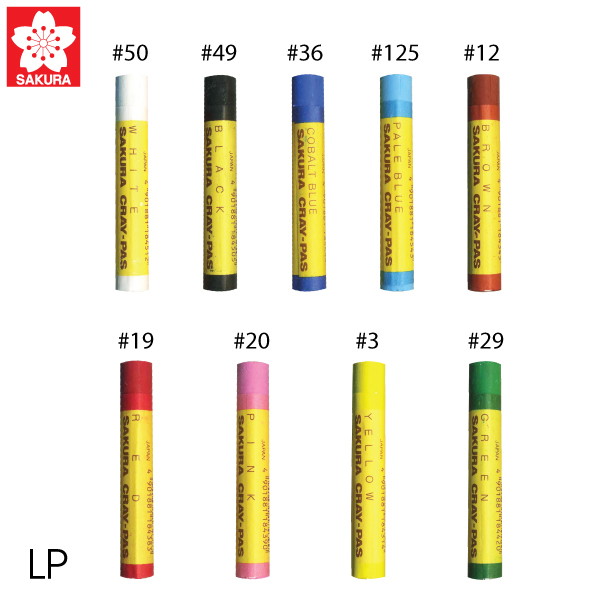 Cray-PasEXPRESSIONIST SAKURAOIL PASTELS made from special pigment and quality wax that made the brightness color, easy to paint, and light resistant which suitable for variety of work such as Abstract art work, Portrait, Still image, and Landscape. Also it is compatible with many surfaces such as wood, cardboard, canvas or any drawing paper and many technics can be used like Stenciling, Color mixing blending, Impasto’s, Dotting and work compatible with water color. Available in 12 colors, 16 colors, 25 colors, 36 colors, 50 colors.